Reflex Photonics is proud to announce that we will collaborate with Prof. Michaël Ménard of Université du Québec à Montréal (UQAM) to build on the technological advantages of silicon photonics (SiP) for optical transceivers. Reflex Photonics to help develop next generation rugged transceiver based on silicon photonics (SiP) research. Reflex Photonics and UQAM have signed a Natural Sciences and Engineering Research Council of Canada (NSERC) Engage research agreement to explore the use of SiP in our next generation of rugged embedded transceivers. 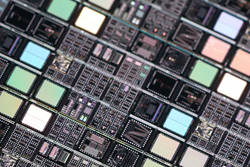 Silicon photonics technology takes advantage of the manufacturing processes developed by the microelectronic industry to achieve complex high-performance integrated optical systems. The technology enables innovative embedded transceiver solutions where the optical inputs/outputs (I/O) are implemented at the chip level using integrated silicon optical devices/circuits and micro-optics. SiP also permits the design of optical interconnects transceivers with a small form-factor and low power consumption. However, the implementation of silicon photonic devices brings new challenges, notably with regards to its integration with light sources and the optical fibers. Reflex Photonics wants to explore potential rugged transceiver solutions compatible with its target space and industrial applications and assess the commercial viability of the technology. Engage research grants are short-term research and development (R&D) research collaborations in which universities apply their expertise to address a company challenge. Partnering companies gain by having the expertise of the academics focused on their R&D issues and by discovering what the researchers and the students working with them have to offer. These projects serve as the first step to establishing a longer-term, impactful collaboration.